You know, the usual appetite-curbing add-ons like lean protein, fiber-rich veggies, and green tea. These work great. But I’ve also picked up some unique, off-the-beaten-path ones that rev up your metabolism so you blast more fat. Best of all, they taste good and become accessible to incorporate into your diet. 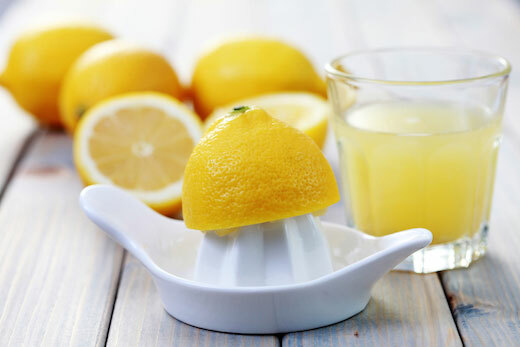 You may have heard of having hot water with lemon in the morning to support proper digestion. I did this when I lived in Japan years ago. Turns out, a few tablespoons of lemon juice just before or during a meal may also help lower your blood sugar response from that meal. You might also have a glass of sparkling water with lemon juice during your lunch or squeeze on some lemon onto your salad or your fish. Speaking of sweet tooth kefir, or other sour, cultured foods can help zap sugar cravings. The sour taste of cultured or fermented foods kills your sweet tooth and feeds the good bacteria in your gut. Too much lousy gut flora means you can extract more calories from the foods you eat and store them as fat. Not cool! My favorite kefir is made from coconut water (this is available in many health food stores). You can also shop online for culture starter kits to make your own! Cayenne can help you burn more calories and curb hunger. You can even get the same effect with some hot sauce or hot peppers. One of my favorite drinks is blending raw chocolate powder with avocado, coconut milk, and a quarter-teaspoon cayenne pepper (you can always increase the amount of cayenne per your taste, but a little goes a long way). Cayenne can provide that get-up-and-go morning kick! Coconut oil and milk remain kitchen staples for everything from cooking to shakes. Both the oil and milk are antiviral and antibacterial, making them perfect for keeping that proper balance of good bacteria in your gut. I’m always on the hunt for healthy little-known add-ons that increase your metabolism while ditching those excess pounds. What food, drink, or ingredient have you found keeps you a little fuller or otherwise helps you burn fat? Share your “secret” below. Have You Tried These Metabolism-Boosting Foods? What Else Would You Add To This List?